Can Microsoft Turn Its Tablet Presence Around with Surface 2? Microsoft has announced two successors to its struggling Surface line. Will these ones sell? 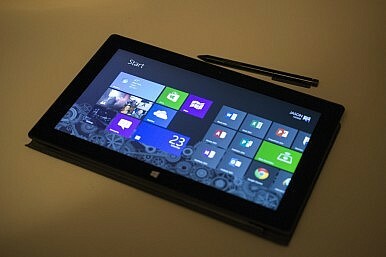 Last year, Microsoft attempted to enter the tablet market with two brand new slates sharing the “Surface” moniker. While the Surface tablets haven’t been the most successful products to hit the shelves last year (actually, that is something of an understatement), it appears that they’ve been good enough for the Redmond giant to remain in the game. As such, after almost a full year of leaks regarding this matter, earlier this week, Microsoft has lifted the veil on the new Surface 2 and Pro 2. Fans of the series have been excited to find out what makes these gadgets tick, and fortunately, their overall expectations have been met. Needless to say, today we will discuss about these new additions to Microsoft’s lineup. If you are a fan of the Surface concept but you feel like you’ve missed your opportunity to adopt the tablet last year, then here’s what you can expect from the new generation of Surface devices. The Microsoft Surface 2 is a direct successor to the old Surface RT. Some of you who are already familiar with the RT may wonder whether or not the Surface 2 has the same software limitations as the older model, and we’re afraid that the answer is “yes.” The new slate is being retailed with Windows 8.1 RT out of the box, meaning that legacy software will not work on this device. But there are a lot of bright sides to this whole story, and the Surface 2 really feels like a solid tablet, despite those shortcomings. To begin with, the new slate features a higher resolution display, delivering 1920 x 1080 pixels (compared to 1366 x 768) on a 10.6-inch diagonal. The new model also packs the Nvidia Tegra 4 T40 quad-core processor which is clocked at 1.7 GHz, 2 GB of RAM, and 32 / 64 GB of storage (expandable by up to 64 GB via a microSD card). In addition, the new model features a 5 MP main camera instead of the old 1.2 MP one, complemented by a 3.5 MP secondary sensor. It also takes advantage of USB 3.0 ports, and not USB 2.0. Last but definitely not least, the latest model promises up to 10 hours of usage, which is more or less twice as much as what the old Surface RT was able to deliver. Much like the Surface 2, the Pro 2 model is the direct successor to the old “Surface Pro”, arriving with the full-fledged Windows 8.1 Pro OS out of the box. The new model is, as expected, a step-up from the original, but many aspects remain unchanged as well. For starters, the display remains a 10.6-inch panel with a resolution of 1920 x 1080, resulting in a pixel density of 208 ppi. While we tend to agree that a higher resolution is not actually necessary for such a device, we can’t ignore the fact that there are smartphones out there, which are half the size of the tablet, featuring the same 1080p resolution. On the bright side, Microsoft claims that the new display offers 46 percent more color accuracy. Aside from that, the new Pro 2 features a new Intel Core i5 4200U dual-core processor, an Intel HD Graphics 4400 GPU, 64 / 128 / 256 / 512 GB of internal storage and 4 / 8 GB of RAM – depending on the type of storage (the 64 and 128 GB models get 4 GB of RAM). As far as battery life goes, Microsoft claims that the new Intel processor (Haswell) made it possible for the new model to remain alive and kicking for 7-to-10 hours per charge, representing a 75 percent increase over the previous model. Undeniably, both tablets have been updated with newer and better hardware. However, that’s not all there is to a tablet, and Microsoft has also focused its energy into making the overall experience a more pleasant one. Additionally, Microsoft went back to the drawing board with its Type and Touch keyboard covers. The new Type/Touch Covers are thinner, more responsive, and feature backlit keys. For those of you who are more demanding in this regard, the software giant has developed a third option, dubbed the “Power Cover.” This one is definitely the most attractive, as it packs an extra battery inside, prolonging the life of the tablets themselves (something that has been –thankfully! – borrowed from the ASUS Transformer line-up). Lastly, both slates are being accompanied by two years’ worth of 200 GB free SkyDrive storage, which can become quite handy in certain situations. All in all, the new Microsoft Surface tablets are definitely a step in the right direction, and an improvement over the original models. More so, they seem to be more accessible, with the Surface 2 being retailed at the price of $449 / $549 depending on the amount of storage. Likewise, the Surface Pro 2 starts off at a more reasonable $899 price tag. Are any of The Diplomat’s readers interested in buying either one of these tablets? Don’t hesitate to share your thoughts by leaving a comment below.